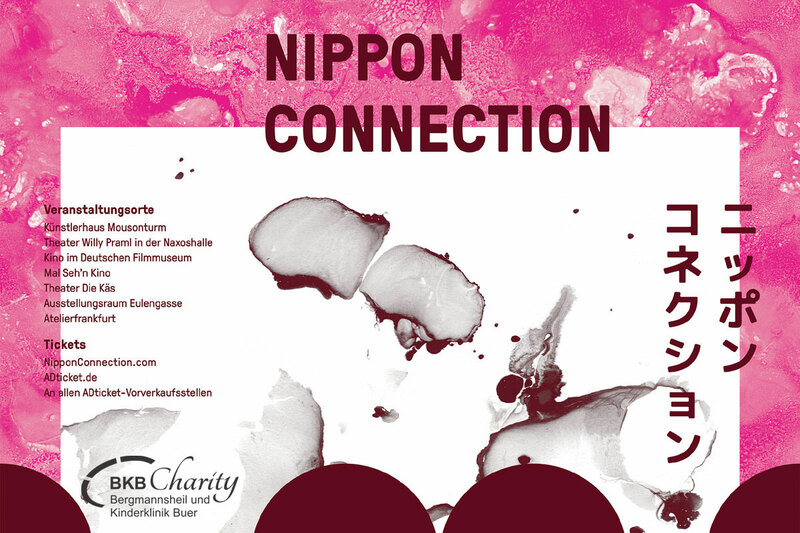 Nippon Connection for BKB Charity: the 17th Japanese Film Festival in Frankfurt am Main is committed to a good cause, with the organisers offering large-scale support for their new cooperation partner BKB Charity. The festival represents the largest platform for Japanese cinema in the world and will therefore offer the humanitarian initiative BKB Charity publicity on a large and international scale. The film festival will take place in Frankfurt am Main, Germany, from May 23 to 28, 2017. Throughout six festival days the biggest festival for Japanese film worldwide will present more than 100 short and long feature films, including many German, European, and world premieres. The program consists of independent films as well as blockbusters, anime, and documentaries. Nippon Connection places particular importance on providing an exchange between filmmakers and audience. Many renowned film directors, actors/actresses and producers will be introducing their films in person and answering questions from the audience. Creative artists from other areas will also be in attendance in order to present their works. The accompanying cultural programme is just as diverse as the film programme. The activities on offer will span a broad spectrum from Japanese tradition to modern pop culture: tea ceremonies, cooking courses, Shiatsu massage, performances, exhibitions, workshops, lectures, panel discussions, parties with Japanese DJs and bands, karaoke and much more. There will be some delicious food on offer from the various bars and stalls, including sushi, noodle soups and other Japanese delicacies. There will also be a separate programme for children with the “Nippon Kids”. The festival is sponsored by the Japanese Consul General Takeshi Kamiyama as well as Frankfurt’s Mayor Peter Feldmann.